Drive off with the right ride and rate for you. At Bank of the Finger Lakes, we work closely with you to secure a lending solution that works for you. Before shopping around, be sure to stop by the branch. 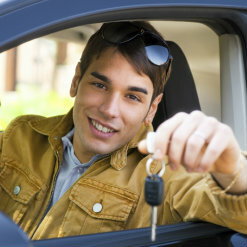 We offer simple pre-approval, giving you much more bargaining power and confidence when stepping foot in a dealership. Plus, we handle all decision-making and processing right here in the Finger Lakes region. Go from paperwork to pavement in no time flat with the help of a local bank you know and trust. Bank of the Finger Lakes — Copyright © 2019 - All rights reserved.